Petrolab are delighted to welcome Mariola Zając. Mariola has recently completed her Masters at AGH University of Science and Technology having previously completed a Bachelors degree at the same university. Her courses included ore mineralogy, mineralogy and petrology. 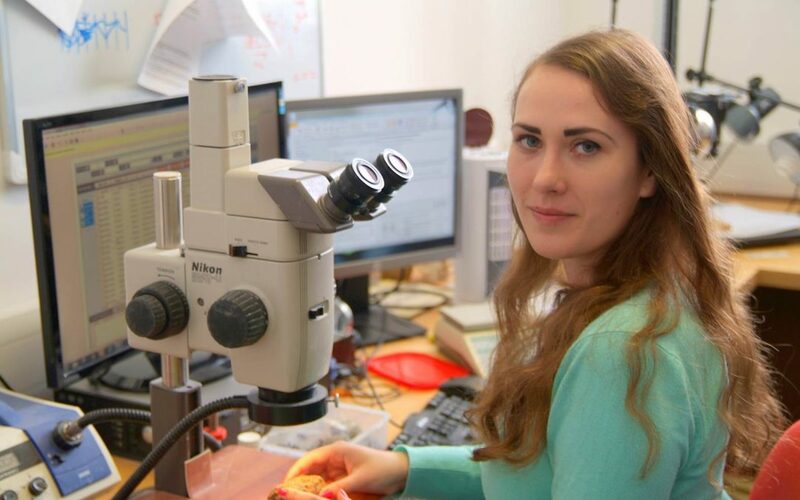 She has also completed work experience at Amarante Investments looking at base metal exploration in Lower Silesia. As part of this work she obtained a qualification as an assistant driller. She is multi-lingual which should prove useful to Petrolab’s increasing number of worldwide clients. We are the Mines owner of Barite and Hematite in Pakistan. We would like to make Barium Carbonate from our Barite. Thank you for your interest. If you need mineralogical assessment of your barite and hematite – particularly looking at liberation, associations, texture, grain size or overall petrography then we would be happy to assist. However, we are not in a position to advise you on the preparation of barium carbonate from barite. For that, it would be best to contact a different company, (e.g. Wardell-Armstrong).